If you're looking to commute from within an hour of Manchester, there's a wealth of possible places to live. Eleanor Doughty picks out some of the finest. Within an hour of Manchester you’ll find Sheffield in the east, Morley in the north and Nantwich in the south. Working in the city really doesn’t have to mean city living. Edale, in the middle of the pretty Hope Valley in the Peak District, is a gem. Just 45 minutes from Manchester Piccadilly, the village is a hit with walkers, who come to climb Mam Tor and Winnats Pass and visit the Church of the Holy and Undivided Trinity. Chatsworth is 20 miles up the road, and the nearby remains of Peveril Castle offer more local weekend exploring. Peak District property is naturally sought after, but the town of Buxton, 58 minutes into the centre of Manchester, offers more countryside living. East of Edale, the mill village of Bamford, the highest in the Derwent Valley, is another option. 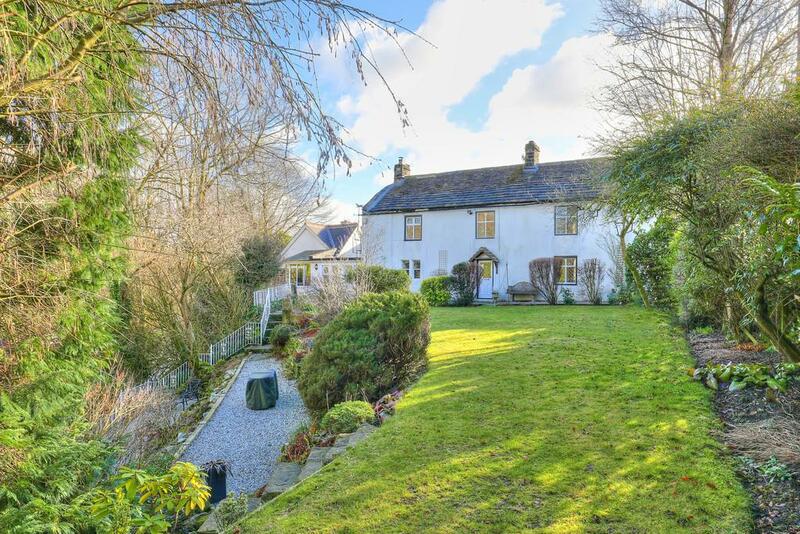 Then there’s Hope, five miles from Edale and with its own train (Manchester Piccadilly in 55 minutes), where Eadon Lockwood & Riddle are currently marketing a three-bedroom property for £725,000. To the north of Manchester, Blackburn is within easy reach (an hour or so on the train to Manchester Victoria), as is Preston (57 minutes) – not far from Pendle Hill, famous haunt of the Lancashire witches of old and walkers of today. Halifax, too, is further east, where a medieval Grade I-listed hall is currently being marketed for £995,000 by Ryburne & Co three miles from Halifax railway station. 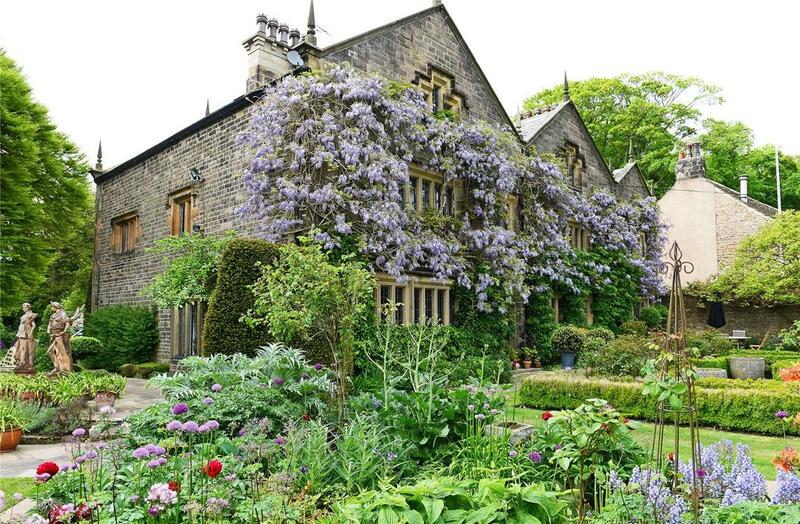 Twenty minutes in the car from Blackburn is the village of Whalley, famous for its elegant viaduct and ruined abbey, and around which Fine & Country are selling a smattering of country houses in West Bradford, Mitton, and Dinckley. There’s plenty to do, too – visit Astley Hall, near Chorley, with its Jacobean plasterwork ceilings, Browsholme Hall in Forest of Bowland and Lancaster’s Ashton Memorial. Liverpool and its environs also make a convenient Manchester commuter spot and it’s a fine hometown, with its cathedral, liver birds, historic docks and Beatlemania. The historic market town of Frodsham (50 minutes from Manchester Piccadilly), on the Mersey, is easily commutable. A delightful, small country hall standing in beautiful gardens on the banks of the River Noe. The house is believed to date back to 1560 and is reputed to be one of the oldest properties in the village, but you need not fear the state it’s in: the house has been totally refurbished over the past seven years. For sale with Eadon, Lockwood & Riddle . See more pictures and details about this property. A truly wonderful nine-bedroom country house dating back to the 18th century, and full of character. There are nine bedrooms, and ten acres of grounds that include a paddock. High Bentley Manor is a Grade I-listed house that is the only complete aisled hall in Yorkshire. The medieval timber frame was clad in stone in 1661. As well as five bedrooms there are all sorts of extra spaces including a games room and a snug. For sale with Ryburne & Co. See more pictures and details about this property.